Thurlestone Guest House is a traditional large Cornish granite house (formerly a Wesleyan Chapel) built in circa 1840, one of the first builings in Carbis Bay. The Guest House is situated in Carbis Bay, which is on the outskirts of the beautiful town of St Ives. (approx 1.5 miles) St Ives town can be reached by footpaths (a stunning coastal path is situated opposite the Guest House) regular local bus service(5mins) or scenic railway journey from Carbis Bay Station. A five minute pretty woodland walk will take you to Carbis Bay beach. All our rooms are en-suite shower. We have beautiful sea views from 4 of our front rooms. We promise to offer you a warm and friendly welcome. We stayed there for a week. The hosts are John and Linda. Two very lovely people who do everything for their guests and always have a good mood. They gave us a lot of tips for things to do in the area and were always friendly and accommodating. The room was small, but everything was there what you need. The cleanliness was excellent and the location of the house is very central so you can explore the beaches and the surrounding area on foot. We would go back anytime. John and Linda couldn't do enough for us, all-round a pleasant stay, and a great location, thank you! You are greeted and treated with caring your whole stay. And stay as long as possible to get to know your wonderful hosts, John and Linda. Breakfast the best ever. Visit the charming town of St Ives and the surrounding fishing villages. Our favorite, Mousehole. 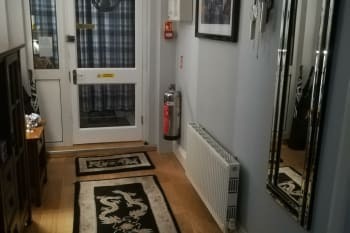 Cosy b&b with friendly, helpful hosts. Great breakfasts,well cooked & catering for all tastes. St Ives & the Tate, coastal walk. Eden project Becks fish and chips. Everything about our stay was brilliant. John is very friendly and helpful, he even ironed my boyfriend's shirt! Breakfast was delicious. The room was clean and very comfortable. John and Linda couldn't do enough for us with information about the area ect.The breakfast was excellant and plenty of choices.We would definitely come again. Thanks again John and Linda for a very enjoyable stay ,from Jean and Frank. Take the advice of John and Linda regarding pubs and restaurants as the ones close by were very good. Also leave the car at Thurstone House and walk into St Ives .You can always take the bus back. John and Linda were very freindly and helpful. Excellent choice and quality of food. Very convenient location. Close to St Ives and easy travel to Penzance, St Michaels Mount, Lands End. Wonderful coastal walks. A visit to the local Tin Mines and the Minack theatre are a must. The summer services on the local open top buses are a good reason to leave the car behind. John and Linda were thoughtful and generous hosts for my stay of three nights. Southwest Path hikers will find this the perfect place to stay. The hotel sits above a breakpoint in the trail for easy access and has a handy GWR train station in between the two access paths. The major on/off buses can take you east or west from almost in front of the hotel. The owners will find the answer for dietary needs if they know ahead of time. the hotel sits between several excellent restaurants, one veg, one pub, two wine and fine, and a fish and chips place. The Cornish Arms catch of the day (sea bass, the day I went) was excellent and the staff very welcoming. The Gannet, almost next door, took me in all jet lagged near the end of serving and made me a very nice starter of crab and shellfish cakes. The next night they slipped me into a table during a very crowded service and I got a delicious malbec along with a delicious meal. Very pleasant stay. In season St Ives is a crush of people and Carbis Bay less so. One note of caution if you are hoping the A4 bus will take you to Hell's Mouth, it will only pick you up at certain stops, but you can take to T2 or the A14 from near the hotel to a pickup point, ask the driver. The hosts are both friendly and very helpful. Breakfast were amazingly good value. Thank you for a welcoming and friendly stay. Service was second to none, room, breakfast and both John and Linda were amazing. We felt so at home and comfortable. Nothing seemed to be a problem. Any request was answered straight away. A big thank you for making us so happy and relaxed, definitely what my partner and I needed. We will definitely be returning at some point. The BnB is a 10 minute walk from the beach. There are nice shops, pubs and restaurants near by. And st Ives beach and many art galleries, pubs and food places are also in walking distance. Brilliant location. 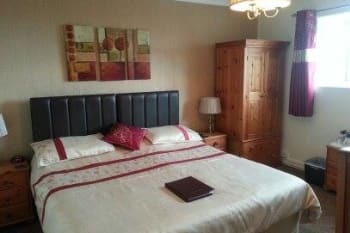 This is a lovely well run guest house perfect for a short stay or weekend away. The rooms have excellent facilities are extremely clean and well maintained. Breakfasts are very good indeed with a full range of options available and more in line with a expensive hotel. Linda and John who run the guest house are very welcoming and helpful and endeavour to make your stay a happy and memorable one. I would have not hesitation in recommending friends, family or anyone else to stay. John and Linda were once again very welcoming and made the stay perfect. The guest house is lovely with a great breakfast included- the best poached eggs! The Mex restaurant in St.Ives is an amazing little restaurant. The food is excellent, would recommend booking. Such a lovely friendly place to stay . Breakfasts were amazing and nice to have a chat with owners at the same time . They would basically do anything for you nothing was too much trouble. My only problem was we were in a small room which my partner struggled with the bathroom. It would of been nice to have had a garden to sit in . La casita tapas bar is lovely but expensive. Beach is 5 mins walk down the lane opposite hotel. Everything within walking distance . Very hilly though ! Great guest house, lovely friendly warm welcome from John who is a font of useful information about the area. We had a good size room for our three night stay with a spectacular view. Amazing breakfast Linda is a great chef and all the breakfast (many options available) looked fantastic. Coastal walk to St. Ives is a must. Becks chippy/ restaurant best fish and chips ever a bit expensive but well worth it. In St. Ives try Peppers Italian on Fore Street great foods and atmosphere, friendly staff. This is really a "home away from home". Excellent breakfast, clean and nice room with a view, and the nicest hosts ever! We got such a personal and warm welcoming, and were so well taken care of during our stay. We definately want to come back! John and Linda are so very friendly John will tell you all about the local things like restaurants,bus service and many other things. Linda is such a very good cook and a very nice lady to boot. some 4/5 local restaurants very close well within walking distant of b/b. or a ten minutes bus ride into St Ives. Beach is close but down a steep hill we went down there once found it hard getting back up hill. we are old though. Beach Worth going to good and clean. John & Linda were the perfect hosts. Very friendly & Helpfull.Directed us to all the interesting locations. WILL definitely go back. Must go to Becks fish restaurant just down the road. Gorgeous. John and Linda were very welcoming and what a great breakfast! Nothing too much trouble. Room was lovely, very clean. We'd definitely be back! The room was very nice and we enjoyed the view from our window. The breakfast was delicious, lots to choose from. Only wish we’d been more hungry. We thank John for all his suggestions what to do and where to eat! The seafood cafe in St Ives was superb! The different beaches was lovely . In the room is a folder that gives you a good selection of restaurants locally. If you are exploring the area on foot or car you will always find somewhere to eat & the majority source their ingredients locally. As National Trust & English Heritage members there is lots of places to visit in a relatively short distance. If you like beaches you don't have to go far, Carbis Bay & St. Ives where you have a choice of three plus the harbour. Whether you just like to lounge on the beach, relax in the many gardens or walking you will not be disappointed here. Friendly clean B&B with excellent breakfasts. Small safes in the rooms (in mine at least) are a nice touch. John gives you a rundown of good eating places, even marking them on a free map. John and Linda are the perfect hosts, friendly, accommodating and full of fun. They were very knowledgeable about the surrounding area and local restaurants. Everywhere was spotlessly clean and fresh. We thoroughly enjoyed our short stay with them. There are a variety of restaurants in the area catering for all needs. Carbis Bay has a beautiful beach and some lovely coastal walks. We had a lovely stay and would not hesitate to recommend Thurlstone house. The owners, John and Linda, were extremely friendly and helpful. Nothing was too much trouble for them. John told us which restaurants were the best to use during our stay and the best places to visit. Our room was comfortable and clean. All in all a very pleasant experience. Don’t drive into St Ives, walk or take the bus. Very enjoyable stay with John and Linda. The room was spotless and the breakfast was fabulous, with choices of just about anything we wanted. The hosts are lovely and full of local information. A mile walk or bus/taxi into St Ives. Plenty of restaurants/pubs locally or in St Ives itself, and the walk back after a heavy meal was very welcome. Lovely beaches around and plenty of places to visit by car. Loved the area. Our only suggestion would be to fit a black out blind at the window. It was very light and bright each morning. We would have preferred it a little less so. Very welcoming and accommodating. Very homely atmosphere. Thank you Linda and John. Really great hosts, clean room and great breakfast. Great location. Away from busy St Ives, but easy access to it on foot (40 min) or by bus(very frequent). Hosts very friendly and very helpful. Breakfast delicious. Our room was quiet and pleasant on the back side of the property. Wondered about the rooms on the front (street side)?! John amd Linda were most welcoming and explained the location and how to get to places on arrival. It was my birthday weekend and John recommended that we book some restaurants as soon as possible so we did for the 3 nights...and very glad too! There is parking right outside the guest house and a bus stop just up the road so very easy to get into St Ives. Our room was lovely....spotlessly clean and the bed was super comfy. Tea/coffee etc facilities in the room. Linda's breakfast was super. We read the marvellous reviews on Trip Advisor and that is what clinched the deal for us! Good choice of freshly cooked to order produce. Eggs Benedict, Eggs Royale, Traditional full cooked, eggs any way you prefer with bacon... Eggs cooked just how we like them and the best bacon we have ever experienced away from home!! And we finished that with the fresh fruit salad every morning. Packed with excellent choice of freshly prepared fruit (not the horrible tinned variety some establishments offer) Tea/Coffee/Toast topped up if required. Really enjoyed our stay in their house and would definitely recommend to anyone visiting this part of Cornwall. We ate in Las Casita first night as just an easy walk from the guest house. Good food. Also ate in The Loft (not a huge menu but food was excellent (recommend the Cornish Chowder) Last night was spent in the Mermaid, popular with locals and it was packed out. Don't often eat desserts but the Mermaid Mess (Eton mess) was the best we have ever had!! Didn't think we would finish it (but would be rude not to)!!! Travel wise...St Michael's Mount was an excellent day out.and just a 20 minute drive away. Whilst there a guide said we should visit Tremenhere Sculpture Gardens which we went back to the next day. Lovely walk through the grounds and a few surprises to see. Spectacular views across to St Michael's Mount. Also drove to Godrevy Lighthouse and walked along the headland and saw the seals smimmimg in the cove. The coastal walk into St Ives can be reached form opposite the guest house. It is very steep in parts so may not suit anyone with walking difficulties but there are alternative accesses to pick up further along which is less taxing. We enjoyed our walk along and the views of the harbour are so picturesque as you approach the town. This is a beautiful part of Cornwall and it was lovely to revisit after so many years away. A lovely stay. Such a friendly welcome. I would have stayed longer had there been vacancies. Will definitely return. Thank y ou Linda and John for spoiling us with superlative breakfasts and helping us navigate through the area. John gave us great tips about local restaurants so we enjoyed the best in the area. Absolutely beautiful stay John and Linda were so welcoming and could not do enough. Magnificent breakfast and beautiful room. Wish we could have stayed longer. Beautiful sea walk from Carbis Bay around to St Ives. Very friendly and welcoming, lots of tips on where to visit or eat? They couldn't do enough for you. Excellent B and B superbly hosted by owners, who do all the basics cleanliness, welcome, quality of room and breakfast spot on. But also add their warmth and humour make your stay memorable. The locally sourced bacon is to die for! The coast walks south of St Ives are wonderful. The walk down to Cardis beach and then to St Ives is a must. Use the bus from St Ives stops 50m from the Thurlestone. Tesco 5 mins walk. Very welcoming and helpful and friendly managers who make you feel right at home. We were given maps and advice on eating spots etc when we arrived. Parking out the front. Not the largest of twin bedroom and small shower but perfectly adequate, very clean and looks recently done up. Good range of amenities in bathroom.Lovely quilts and covers on bed. Heater and hairdryer in room. Really good breakfasts. Best bacon ever!! John gave us great tips on restaurants. If you get takeaway fish and chips from Becks, ask for a SMALL piece!! We enjoyed doing the coast walk from Carbis Bay to St Ives which we probably wouldn't have done had we stayed in St Ives. It was a very handy location for exploring this corner of Cornwall and we wished we had more time there. We'd definitely return and would highly recommend it if you don't need to stay in town. John and Linda made us feel most welcome the minute we arrived. A most hospitable couple. The accommodation was lovely and comfortable and breakfast was great. Linda and John were excellent hosts, who showed a genuine interest and rapport with their guests. Will be back for future stay. Thank you for your hospitality. The Cornish Arms within walking distance. Lovely meal with Mediterranean atmosphere at La Casita. This is the finest Guest House in which I have ever stayed. I travel a great deal and the service from the owners, John and Linda, was superb in every respect. Nothing was too much trouble for them and I would recommend this Guest House in the highest possible terms. The Breakfasts are richly deserving of their special AA Breakfast Award. There is a very handy and frequent bus service to St Ives (Porthia in Cornish) and the nearest stop is about 30 feet from the front door of this Guest House. Carbis Bay and St. Erth Railway Stations are also very handy. Very friendly and well informed hosts who made me feel welcome and were more than happy to share their local knowledge with me. My breakfast on both days was outstanding, a truly 'fresh' fruit salad and Eggs Royale by the way. The poached eggs were cooked perfectly, not easy to consistently achieve, and even my request for my smoked salmon to be slightly cooked was happily met with. 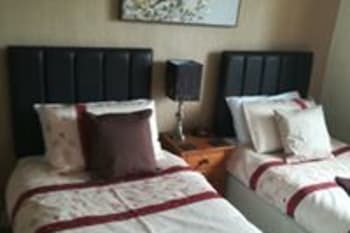 A spotless bedroom and en suite with a very comfortable bed - which had been sanitised for cleanliness and allergy reduction. I have a number of allergies and this was terrific to see. I will most certainly be returning in the very near future. The Gannet just down the road is a lovely welcoming hotel bar/restaurant. But also St Ives is so very close with all the restaurants and bars on offer there. My favourites are the Hub, the Seafood Cafe and my brand new find the Pedn Olva - just down the steps from the bus station and train station - it could not be easier to get to and the views and food (try the scallops starter!) are SO worth the short journey to get there. What a delightful stay. Could not be a asked for a better hotel or nicer hosts. Friendly, knowledgeable and so helpful. Delicious breakfast with lots of choices. Comfortable bed. We had sea view! We'll be back! We recommend the Spanish restaurant and The Ganet. The Carbis Bay Spa is fantastic but don't stay there. Stay with John and Linda! So much nicer. Barbara Hepworth museum was excellent and so was the Tate. A trip to the Minack Theatre is a must see too. excellent service, John and Linda could not do enough for us during our stay. Highly recommend the Thurlestone guest house to anyone wishing to stay in the Carbis Bay area. John and Linda will mark up a map on arrival with all the good local restaurants. We tried a different one each night all are very good. John and Linda were excellent, very accommodating and friendly couple, went out of there way to look after us, I carn’t thank them enough. Excellent location, ideal for the beach, pubs, shops,restaurants. Very clean and friendly with lovely freshly made breakfast. Convenient for walking into St Ives along the coast path. Also, easy access to the south coast of Cornwall. John and Linda are so friendly, they made us feel like part of the family. Definitely one of the best bnb's we've ever stayed in. Rooms were very comfortable and immaculate. Hosts were friendly, welcoming and helpful. Breakfast was cooked well and had a good variety of choice. Would definitely recommend to other travellers and would love to return one day. We loved our stay here we couldn't fault anything, the room was lovely, the staff were great and breakfast was fantastic. Wonderful food. Meticulous rooms with excellent amenities. The hosts, John and Linda, were helpful, gracious and knowledgeable about the region. Check with John first but we ate at Beck's Fish and Chips, The Gannet Inn, La Casita, The Bean Inn and Cornish Arms. They were all very good. Walking downtown via the Coastal Path was a must do. St. Ives was charming with friendly people and if you are walking, easy to get around. Not much parking. We would definitely go back. Very friendly. I appreciated the local advice when I first arrived and that John subsequently always knew my name. The breakfast was splendid and I also liked having coffee, including decaf in the room. Provision of a wine glass also helpful! Wifi was fast and reliable. Parking was snug but possible. Pretty easy walk to town and less stressful than trying to park in St Ives. Good rack of information leaflets and map provided on arrival. The only improvement I could envisage would be a sitting room of some sort. The rooms are quite small, though well appointed and it might have been nice to sit elsewhere for a drink in the evening. Enjoyed the fish and chips at Becks as it could be with salad and didn't have to have batter! It is a very short and easy trip to Marazion / St Michael's Mount. It's only about 9 miles/ 15 minutes. As it's north coast, that's probably worth pointing out. Nice walk round the island bit behind St Ives. Very friendly and welcoming owners who provided a wealth of local information. Good location close to local and frequent bus services. Great views of Carbis Bay from our room. Extensive breakfast, freshly prepared and cooked. Delightful room too. Close to St Ives which is always worth a visit and Carbis Bay beach is spectacular, if you like that sort of thing. The owners are well informed and are more than willing to offer advice in this regard. What a fabulous few days. John and Linda were there to greet us at check in with hand shakes and hugs. Very friendly and extremely knowledgeable about the local area. John recommended some superb places to eat and visit during our stay. The room was tidy, clean and a good size. The breakfasts were top notch and there was plenty of choice. My fiancee and I chose off the menu each day but other guests had unique requests, which were catered to without fuss. By the second morning John had learnt our names and also knew our hot drink preferences which was a really nice touch! Wifi access was available, it was a little intermittent, however as we were there to relax and spent our days out this was no issue for us. The B&B is just a short walk down the hill to the beach and our room had a lovely sea view. Check out was smooth, with a repeat of handshakes and hugs to bid us fair well. We thoroughly enjoyed out stay at Thurlestone House and would be happy to return. We ate close to the B&B each night, the Gannet hotel just up the road was amazing, so so much so that we ate there twice. La Cassita, a small Spanish restaurant, which was also up the road, was really lovely as well. Would highly recommend both of these places to eat. The B&B is well situated to access most off what the southern most parts of Cornwall have to offer. Half an hour drive in either direction provides access to a massive range of amusements, attractions and places to see. the South West Coastal Path is also right on the door step. John and Linda Couldo not be more welcoming.John could not be more helpful and Linda with the help of her mum cooked the to order breakfasts to perfection. We have made friends with a lovely couple and if we stayed in that part of Cornwall again would not hesitate to book in to The Thurlestone. This B and B is actually above Carbis Bay Beach and is only 6 mins by plentiful buses to St.Ives. If you are looking to park up and not use the car then this place is ideal as lovely bars and restaurants are only a short walk away. Very welcoming and willing to help you out on information on the local area and anything in general. From the moment we arrived, we were made to feel extremely welcome. The location is excellent, the room fantastic and the breakfast impeccable. Nothing was too much trouble. Can't wait until our next stay. Lovely couple. Eat and drink at the Cornish Arms, Becks restaurant / chippy or the Badger Inn - all excellent. Ask John if you need advice, he'll give you an honest opinion on places and we found his advice spot-on. Everything about Thurlestone House is excellent, particularly John and Linda!!! 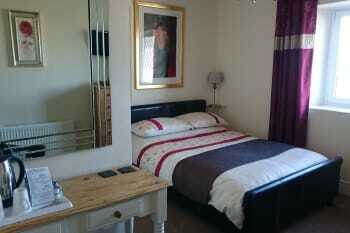 Very comfortable and welcoming stay at thurlestone. Good being able to walk into town, bus or coastal train being other nearby options. Only criticism is the tight parking spaces at the front of the property where manoeuvring is difficult due to the quite busy road. La casita, restaurant a short walk from thurlestone. Friendly service. Nice atmosphere. Lots to see and do in st Ives including a cinema for wet days. Recommend the guided walk from the guildhall. Carbis bay, short walk away, gorgeous. Porth kidney sands, bit further on, to escape the crowds. 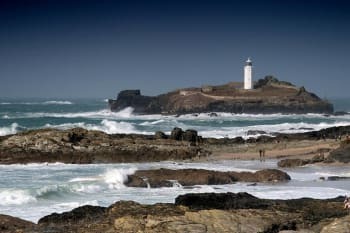 Godrevy short drive away, for stunning coastal scenery and seals. Excellent B and B. Clean. Great breakfast and warm welcome. John and Linda provided lots of information about the local area too. John and Lynne very welcoming and we really enjoyed our stay with them. Lovely breakfast choice each morning - rooms cleaned and fresh towels daily..
lots of nice restaurants to walk to - not too much parking around this area, but not a problem if the weather is nice to stroll to the pubs/restaurants.. and if any rain likely - John will lend you a brolley !! Absolute 5 star service and friendliness. The breakfast is superb. The place is spotless and the owners brilliant. Book it now! Go down the slope to the beautiful Carbis Bay beach. Lovely. Lovely B and B, John and Linda are a brilliant couple and would definitely stay there again. Walk the coastal path which is a nice walk. Few hills but worth it as when I did it on the last day we saw dolphins and seals. Brilliant day. Make your way to st Ives and there are plenty of pubs and restaurants and shops which fit everyone's needs and price range. John And Linda were excellent hosts, nothing was too much trouble.Good bedrooms and excellent breakfasts. Lovely warm welcome, beautifully clean, neat and tidy rooms. Wonderful breakfasts offered each morning.Fresh fluffy towels each morning too. Both Linda and John were excellent hosts. Carbis Bay, safe family beaches. Lovely long walks and great scenery. Thurslestone is a lovely guest house made even better by John and Linda who are the friendliest hosts that you would ever want to meet. Their high standards, attention to detail and willingness to help in any way made our stay with them an excellent experience. Breakfasts were superb and the standards of cleanliness were impressive. We will certainly come back for another stay. An excellent restaurant in St. Ives is on Porthmeor beach overlooking the sea. Porthleven and Marazion are well worth a visit as are St.Ives and Padstow. The Godolphin bar and restaurant in Marazion is a lovely place to eat overlooking St.Michael's Mount. Minack Theatre in Porthcurno is even more impressive when a production is on. There are also a few places very close to the hotel if you didn't want to go into st Ives, we liked the local The Cornish Arms, great atmosphere proper local pub, lovely home cooked food. Perfect hosts - John & Linda are very genuine,welcoming & helpful. We were treated like old friends. I have stayed in the room 5 the small one but it wasn't small as I read in other reviews it has a good size and a large shower room the room was impeccable and the service was absolutely amazing. Don't be afraid of taking the small room if it is the only one available. Had a great time there. The stay at Thurlestone House was lovely, it was very clean and the owners made us feel at home. The breakfast was really nice which set us up for the day, we found that ST IVES was a frendly place to stay. YOU MUST DO A BIT OF WALKING,IT IS THE BEST WAY TO SEE AND GET THE FEEL OF ST IVES THERE ARE PLENTY OFF RESURANTS AND CAFES IF YOU HAVE ICE CREAM MIND THE SEAGULLS THEY WILL TAKE STRAIGHT OUT OF YOUR HANDS LOL THE BEECHES ARE ALL SAND AND THE SEA IS TIDAL.THERE IS PLENTY TO SEE AND DO,WE WILL BE GOING BACK NEXT YEAR. Two of the most important aspects of a B&B were covered here. We had an excellent breakfast and the bed was one of the most comfortable that we have had in any B&B. Together these made it a very enjoyable stay. Very friendly and hospitable. Fabulous breakfasts! The Gannet Inn a few doors up was a really nice place to eat in the evening. John and Linda were lovely people and could not have been more helpful. We fully enjoyed our stay at Thurlestone and if lucky enough to be visiting the beautiful Carbis Bay then would certainly make sure John and Linda had room. Don't miss the breakfast Thurlestone put on .. it was fantastic! lovely stay with lovely host and hostess. would definitely book again! Coastal path between St Ives and Zennor, scenery and wild flowers are spectacular. The tapas restaurant in Carbis Bay is really good. Spent 7 days at the Thurlestone Guest House, and thoroughly enjoyed our visit. Great choice of breakfast all freshly cooked. The room was very comfortable and clean. John and Linda were very welcoming and friendly, nothing was to much trouble.Will definitely be returning. Lots of places to visit, a must is St Michaels Mount. We were only there for two nights but John and Linda were lovely hosts, the room was lovely comfortable and spotlessly clean, the breakfast was amazing we can't wait to come back and stay a bit longer. Definitely eat at the Cornish Arms, a five minute walk and the food was proper pub grub, great value for money and great atmosphere, the b&b is a great base to explore st ives and surrounding areas. The nicest host and hostess in the world. Patient and very helpful. Couldn't have been a more pleasant stay. Be sure you know the route numbers and directions of where you are going. My car GPS was less than reliable when in more rural areas. We had 4 days in Cornwall and thoroughly enjoyed our stay here. The room was very comfortable and spotlessly clean. The room & bathroom was also cleaned every day. Huge choice for breakfast and fantastic food. We are very glad we chose to stay here and would definitely recommend it. It is about a 1.5 mile walk into St Ives. It is quite a steep hill down to Carbis Bay beach, about a 10 min walk. Carbis Bay beach is beautiful with lovely cafe and restaurant and water sports place. Also very clean toilets! Great Spanish restaurant about 5-10 min walk from Thurlestone "La Casita". "Harbour Fish & Chips" on the front in St Ives - best fish and chips ever. You can chose to have the fish battered or grilled. Very welcoming and accommodating. We were both really impressed with the room, breakfast, cleanliness and your service and area knowledge. Lovely to meet you both, Thurlestone is highly recommended! The Bean Inn is worth a visit and the Cornish Arms, just really ask your hosts, they are fully informed and happy to help. Tehidy Country Park is quite near for easy forest walks. We really enjoyed our stay at the Thurlestone Guest House. John and Linda made us feel very welcome and couldn't do enough for us. Our room was very comfortable and spotlessly clean. Good choice at breakfast and cooked to perfection. We will definitely use this guest house if visiting St Ives again. A visit to the Minnack Theatre is a must and Birdies Bistro is worth a visit as the food was excellent. Very very welcoming owners. The room was very clean and very warm! Breakfast was superb! 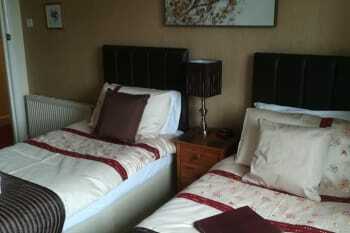 this is a brilliant stay for short stays or if you love the comfort of a b&b. Really excellent very welcoming and friendly b&b in a great location for exploring the area. John and Linda (and Mum!) are superb hosts. Spotlessly clean and delicious breakfasts. Cellar Bistro and Caffe Pasta in St Ives are great places to eat and drink and Becks fish n chips in Carbis Bay is renowned! St Michaels Mount and Marazion are definitely worth a visit. Excellent few days. Very comfortable facilities and friendly welcome. 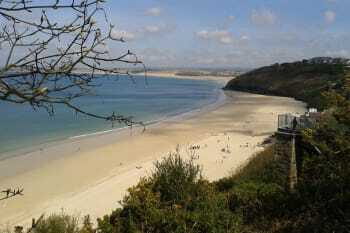 Ideally situated for St Ives and Carbis Bay. very nice to meet john and her family. very good welcome and nice breakfast. Room very clean and quite. John and Linda are wonderful hosts. We enjoyed our stay so much, wish we could have stayed longer. Breakfast was superb. We stayed in room 5, the smaller double room. If you plan to spend much time in your room, maybe better get a bigger one. For us it was just fine. Great bathroom, everything functioning fine, lovely towels. 4-5 star hotel service in a B&B, we couldn't ask for more! St Ives is a good base with lots of interesting places nearby. The breakfast is the best of any we have had in England. Quiet room and comfy bed. Buy a day pass for the Kernow buses and you can travel anywhere in Cornwall for 12 pounds, otherwise be prepared for a long walk to shops etc. Friendly and welcoming B&B. Room 5 was on the small side but had everything you would need. The bathroom was great and the home cooked breakfast was superb! Ours was a last minute booking that didn't disappoint. Lovely breakfasts with a good choice of food. Knowledgeable staff with great tips on walks, restaurants, and places to visit (even recommended the best beaches to see great sunsets in the area). Would definitely stay again. 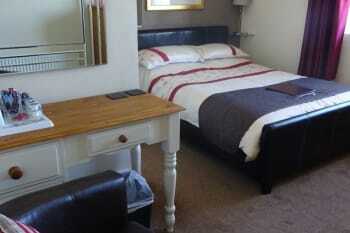 Excellent friendly hotel, service and English breakfast brilliant, very comfortable bed and homely bedroom. Hotelier helped to resolve car problems beyond his call of duty. Our purpose for coming was to attend a wedding and to have a rest. Mandy and Gary were excellent hosts always able to give plenty of tips on what to do and where go, very knowledgable of the area which was very helpful. Gary did a brilliant breakfast and there was plenty of choice so we're well catered for. Really lovely couple who made us so welcome, would definitely recommend the hosts and venue and would definitely return. Friendly welcoming hosts could not do enough for us during our stay. Coastal walk to st Ives is a must. A visit to the sloop and the hub for food were lovely. Friendly welcome and a comfortable clean room. Breakfast was excellent and freshly cooked to order. Remember to take a torch if walking the coast path at night. We had a tasty, good value evening meal at the Cornish Inn, less than a mile along the road to St Ives. Steep hills but spectacular views in this part of Cornwall. You should go home feeling fitter! If you combined all the little things that make a place special, Thurlestone Guest House would hit them all. A hostess, Mandy, who was there for you, always and helping you create your experience. Breakfasts were amazing. Location was close to the action and close to the beach. I would recommend Thurlestone Guest House to anyone who was heading south! The location is great! Staying right in St. Ives may seem like the plan but the roads are hardly wide enough for an Austin Mini. I preferred to walk in! The Thurlestone Guest House was a great. brilliant. Wonderful. & the staff & Owners were the same we had a Fantastic time there. It was a Friendly Atmosphere all the time we was there. The food was great. We will be going back there next year. There is a Restaurant nearby called the gannet. It was lovely in there. There is a Tesco about 10 minutes. Town is 30 minutes away 5 minutes in a car. From the moment we were greeted by Garry & Mandy we were made to feel very welcome. First impression of the Guest House was very good. The decor, cleanliness and room facilities are excellent, as were the layouts the breakfast room and our bedroom number 3. The breakfast menu has a variety comparable to many major hotel chains, and the freshly prepared food exceeds the quality of most. The information and advice on places to visit was much appreciated, and Garry's marked-up route maps proved to be very useful. Some of the restaurants in St. Ives are busy in the evenings, so booking is advisable. Very welcoming helpful in every way The best place we have stayed in and where we would love to stay again if we visit st ives. The breakfast were the best we have ever had better than any 4 star places we have stayed in. Good bus services if you don't want to use the car. Lots of places to eat and drink. Mandy and Gary were very nice and helpful. Good location and parking available. Bed was wonderful. We really enjoyed the welcome and hospitality and will seek to stay with you next time we are in Carbis Bay. The breakfast was good with plenty of choice. Thanks for being so cheery and friendly. Thurlestone House is a wonderful place to stay. The breakfast was first class, the room was spotless. Nothing was to much trouble from the owners Mandy and Gary. A wonderful, restful and relaxing holiday. Will definitely be going back. Warm welcome ,we were made to feel very relaxed during our stay great room with sea view , very clean , great breakfast lots of helpful info to help us during our stay . Will stay again . Short drive to St Ives ,lots of restaurants and pubs their .Two hotels with restaurants within walking distance . Nice walk to the beach ,and St Ives on the coastal footpath . Warm and friendly atmosphere good food. St Ives close by great night life brilliant views. Good restaurants. Recommend the Union pub for lunch time food and the Mermaid fish restaurant. Hosts went out of there way to make our stay the best,nothing was to much trouble.We loved it there . Catch the bus to ST Ives.Restaurants and an excellent fish and chip restaurant within walking distance. Lovely place to stay, Mandy and Gary employ wonderful staff and everyone is very friendly, welcoming and helpful. Beck's Fish and Chip Restaurant and La Casita are my favourite close by places to eat, both within 5-10 minutes walk. For Drinking, the Cornish Arms is 10 minutes walk, but there is The Gannet Inn and Atlantic Hotel that serve non residents with Food and Drink, both around 2 minutes walk. Close to the stunning carbis bay , walkable down a steep hill , but lovely coastal path to st Ives , nice views for amazing photographs .... St Ives has lovely beaches , shops , bakeries, restaurants , art galleries . The Spanish restaurant close to the guest house is very good , in town there are many good restaurants , the mermaid , the fish cafe, the portminster ... We had a delicious cream tea in the olive cafe too. Buses run from the town close to thurslestone so it's easy to catch one back if you don't want to walk . We stayed for three nights to attend a wedding at Carbis Bay, the location was perfect for us and there was a bus stop just outside to catch the bus into St Ives. Mandy and Gary were absolutely fabulous hosts and were great with our little girl. The breakfasts were delicious and there was lots to choose from. We had a fabulous stay and can't wait to return next year. Thank you so much! Carbis Bay has the most amazing beach and is worth a visit, the road down is quite steep and parking is costly but worth it if your going to be there all day. Becks fish and chips restaurant just up the road was amazing the portions are huge and the food is delicious. We had to wait a little while for a table but you can have a drink in the bar area and it's definitely worth it. The staff are lovely. There are some lovely restaurants in St Ives, Onshore and pels of St Ives were just a couple that we visited and both did amazing food. Our little girl aged 2 and a half loved paradise park which is only a short drive away. A lovely guesthouse. The family are very friendly and make you feel very welcome. Great breakfast selection and well equipped room. A good location which is close to either the bus stop or railway station for a short journey into St Ives. Some lovely restaurants close to the guesthouse. The Bean Inn in particular is lovely. Thurlston Guest House was a fabulous place to stay. It is just out of St Ives town so travel by car in and out of the area is much easier. There is also parking. The owners and staff are most welcoming and friendly and make your stay enjoyable. The Guest House is very clean and the breakfasts are first class. We really enjoyed our stay. A wide range of places to visit nearby and places to eat in the evening. Close to Carbis Bay beach and the coast path for those who like to walk or get the train from Carbis Bay just one stop into St Ives. Very friendly, kind and helpful at all times! THANKYOU for a lovely time Mandy and staff. The coastal path is opposite the door and it's a great way to walk in to St Ives. The cafes on the beaches at Portmerron and Portminster are excellent! We hope to come again! Mandy and Gary treat you as friends rather than guests and cannot do enough for you if you want any advice of where to visit or what is going on in the area they are happy to help The food is excellent (try the poached salmon and scrambled egg) Everywhere is spotlessly clean and would recommend Thurlestone Guest House to anyone. Lovely guesthouse with fab hosts who went above & beyond to ensure that we had a great stay. Great breakfast with lots of choice. We had a family room that was ideal for 3 of us. It also had the added bonus of a lounge which was ideal for us to use in the evenings. Would highly recommend to others. From the moment we arrived we felt welcomed and relaxed and this continued through the time we stayed. Could not fault accommodation and breakfast was excellent. If you don't believe this go and stay there, you won't be disappointed . Extremely friendly and welcoming. Excellent breakfast. If you prefer quieter beaches to those at St Ives, Carbis Bay beach is better or quieter still is the beautiful Porthe Kidney beach a half hour walk along the coastal path. Wonderful second stay here. Hosts Mandy and Gary just as welcoming and full of local info as previously. Food really good too! Lovely welcome from our hosts, who were extremely helpful and friendly. Clean, comfortable room. Scrummy breakfasts, which were always delivered on time with a friendly smile. Would definitely stay again. Made most welcome and treated as part of the family without being obtrusive. Restaurant within walking distance. Short car journey to St. Ives. This was our third visit to the Thurlestone and we can't wait to go back. We can't fault it at all and Mandy and Gary and all their staff are the most warm and welcoming people you could wish to meet, it is literally like home from home, they make you feel so comfortable. Short walk into St Ives, can also take the local bus or train. Lots of good restaurants to try, the Sloop and Harbour Fish and Chip restaurants are favourites and the Gannet just along from the Thurlestone is very good. Amazing B&B, very helpful owners, excellent location, nice sea view. Wonderful relaxing ambience, perfect for your holiday. Well appointed comfortable room, kept spotlessly clean. Assured The very best breakfast Cornwall has to offer ! to set you up for the day. Mandy and Gary always ready to help. Perfect Thurlestone. If possible always best to walk along coastal path to St Ives. What a lovely welcome we received from Mandy and Gary. Fresh milk for a brew and lots of helpful tips about the area. Our room wasn't huge but had a sea view and was spotlessly clean. The breakfast was delicious, cooked to order and piping hot. A lovely place to stay and we will certainly be back if we are ever in the area again. Thank you. We walked the coastal path into St Ives, it's a bit overgrown at the moment but definitely worth doing. Took us about 40 minutes. We had a couple of meals in The Atlantic, about 3 minutes walk away. Very nice but may be changing hands soon. Very friendly hosts, lots of time for you Couldn't have wished for a better welcome. Lovely accommodation, clean, comfortable and friendly. Parking is difficult but perfect if you have a small car or no car. A warm welcome. Nothing was too much trouble; I was offered fresh milk in my room on arrival after a long journey. A nice touch! Comfortable room with everything you needed and an excellent breakfast with a wide choice, served promptly and with a smile. As I said on departure: a little gem! My stay was short, for a wedding, but there was plenty of information in the foyer if you were staying longer. One of the nicest B&B's we have stayed in, very friendly and we were made very welcome. Lovely views over Carbis Bay. The room was very clean and comfortable. Cooked breakfast was delicious and there was a lot of other choices. Will definately go again and recommend to friends. Beautiful location about a 20 minute walk into St Ives but the walk along the coastal path was lovely. Pleanty of places to eat close to the B&B. Very friendly staff and best recommendation. View, walk to St. Ives, See, Beach. Why not leave the car and travel by bus? The 17A is often open top and the trip to Penzance takes you past St Michael's Mount via Marazion! We suggest you get another open top from there to Lands End wonderful journeys through obscure lanes, small villages, stone circles and more! We then got the 300 (sometimes a vintage bus) back to St Ives! An amazing trip and adventure! Even better, if you are over 60 or have a bus travel pass - its free! Be sure to try the foot paths! Many great restaurants and the sunset on the Westbside of St. Ives is glorious! A very friendly welcome and stay with excellent service and super breakfasts.Good position for coastal path public transport and Carbis Bay beach.A nice stroll into St Ives. Good choice of local restaurants if you do not want to go into ST Ives.Also an excellent bus service in both directions. We really enjoyed our stsya at what we consider to be the best Guest house we have ever stayed in. Gary ^& Mandy are great.....you really do feel like friends when you leave. Food was excellant as we everything else. We were not there long but Beck Fish & Chip Resturant was great, close by & very good prices as well as very good food. Great hosts, Nothing too much trouble. All the staff were really helpful and pleasant. Breakfast was excellent, Hopefully will visit again. The local buses were excellent and run frequently. Try not to travel home on a Friday during half term week as the traffic was horrendous. Lovely hosts-very welcoming. Location is excellent with easy access to St Ives. It says in the bar "Come as strangers - leave as friends" ... Couldn't be more true! My wife and I have been coming here for years and wouldn't dream of staying anywhere else. Sooo many good restaurants in and around St Ives ... especially the Cellar Bistro and Café Pasta. And so many sights to see - must see Sennen Cove, and Mousole. I chose the right hotel. Decor, comfort cleanliness pleased for an eye. I am grateful to the owners, they were friendly smiling and helped us in difficult moments. The breackfast was delicious in a very cozy atmosphere. I recommend this hotel to all. Exceptional hospitality, the most welcoming and comfortable bed and breakfast we have ever stayed at. Breakfast was superb and the facilities were immaculate. We can definitely understand why anyone who regularly visits Cornwall would want to repeatedly return to stay at Thurlestone House. There is not enough words to describe how lovely our stay was. If we were to return to Cornwall we would without hesitation stay there again. This is a great location if travelling by car to visit various places in Cornwall. We stayed for 3 nights and it was an easy drive to Lands End, The Minak Theatre, Penzance and Newquay. People who enjoy walking can walk to St Ives Carbis Bay and into St Ives itself, alternatively if people struggle with hilly walks there is public transport available. Carbis Bay is a beautiful location and Mandy and Gary at Thurlestone House give great advice for travellers. No question is too much trouble. The local chip shop is reasonably priced and one of the best we've ever tasted. Friendly owners who went that one step further to make our stay more enjoyable. Lovely breakfasts. No complaints at all. Absolutely lovely guest house. Owners couldn't do enough for you, really attentive and pleasant. Thank you Mandy for a great 3 night stay.Everything about it was outstanding.Great breakfasts very comfortable bed and the special surprise when we returned to our room on our wedding anniversary! Thanks again for everything. Cellar Bistro in St Ives was very good.We had the early bird menu which was delicious and great value. We had a family get together at La Casita just a short walk along the path from Thurlestone, on the Friday evening and would definitely recommend....very relaxed staff (two babies with us!) and the food was very tasty! Mandy & Gary are such a lovely couple and would do anything for you. We would defiantly recommend this lovely b&b to everyone. A beautiful little gem in Cornwall. Mandy and Gary were most welcoming and nothing was too much trouble. The detail in decor and ambiance was well thought out throughout the accommodation in all aspects. Cleanliness was 100% there was not a spec or mark to be seen. Breakfasts were superb, catering for the most discerning of us. If you are looking to walk the unspoilt walkways and villages around Cornwall, this is a gem of a location and accommodation. Easily accessible to St. Ives, and many other surrounding areas. Has some great little eateries nearby. Visited - the lost Gardens of Heligan St. Ives, Hayle, Truro, and Perrenporth. Mandy and Gary made us feel at home from the time we walked through the door. We had such a warm welcome, nothing was any trouble, even when I asked if Mandy had some sun cream I could use until I bought my own later that day. The well decorated room was lovely and clean, with a good selection of tea/coffee/Hot Choc and water left for our use. The bed was very comfy. The bathroom had everything we needed, fresh towels and a selection of mini toiletries. The honesty bar had a great selection of drinks. It was a lovely place to meet other guest at the end of the day, or for a quick drink before setting out for the evening. It worked by making a note of what you had to drink on the bar sheet, the total was then added to your bill, very simple. I personally think it was much better than disturbing the owners every time you want a drink like in some other small guest houses I have stayed in. The breakfast was amazing, a good range of food on offer. It was cooked perfectly every morning and the service was excellent, far superior to the 5* hotel we stayed after leaving Thurlestone. Gluten free cereals and snack bars were available to all without having to ask. On our last night a family with a small child booked in. At breakfast the table was set ready with a sweet pink plastic plate, bowl and mug - what a lovely touch, the little girl was delighted when she arrived for breakfast, as I’m sure were her parents. The coastal walk into St Ives has spectacular views. Friday night at the "sloop" pub on the front was a night to remember. Bob Love, playing his guitar, as the whole pub, locals and visitors joined in with him singing. best night out for a very long time. Lots of great places to eat and drink on the front. But you much visit "I should coco", 39 Fore Street. The chocolate shop, smells amazing as soon as you walk in. You can watch the chocolates being made even if you don't buy any. Stay was great, only comment was the bed was too soft and the room was abit hot. This was our first stay at Thurlestone, We had a very warm welcome, and very enjoyable time. Nothing was to much trouble. The breakfast was fantastic. We will definitely be returning. The Guest House ideally situated. You can walk to St Ives via the scenic coastal path, or by pavement. There is bus stop 50 yards, and of course the train to either St Earth or St Ives just a very short walk away. Good accomodation in a handy location, just a scenic walk from St Ives. Mandy and Garry went above and beyond the call of duty to be good hosts. Would heartily recommend them. A short steep walk takes you down to Carbis Bay - ideal for us as we were attending a wedding at Carbis Bay hotel. The stunning coastal path from here takes you to St Ives town. Ample parking available at the guest house. Very warm and welcoming atmosphere. Mandy & Garry are the most pleasant hosts and ensure that their guests have everything they require. Breakfasts are freshly cooked and there is also a selection of cereals and fresh fruit etc to suit all tastes. I would not hesitate to recommend Thurlestone to family and friends and hope to pay a return visit later in the year, circumstances permitting. We enjoyed a lovely stay at the Thurlestone, Mandy and Gary were excellent hosts extremely friendly and accommodating to our every needs. The guesthouse had all the necessary facilities including an honesty bar open late into the night. Breakfast was delicious, perfectly cooked and lots of options. We would highly recommend the Thurlestone!! We ate at the Firehouse, Peppers & the Captains Table during our stay which were all excellent. Amazing B&B, very friendly people, super clean , great location. Couldn't wish for anything else! Very kind owners A lot of attention to the customers. They even drive us to the nearest train station! We thoroughly enjoyed our stay and were made very welcome. We are hoping to return in 2017 when Tate St Ives reopens. we had an excellent meal at the Seafood Cafe (St Ives). The Penlee Gallery in Penzance was definitely worth visiting. Friendly,helpful,couldn't do enough for us. Would definitely recommend to others. The breakfasts were amazing and so much to choose from. An outstanding establishment run by outstanding people, Mandy and Gary. Excellent in every respect, from warm welcome to send-off at end of stay (two nights). Outstanding cleanliness, very comfortable room with plenty of storage space. Excellent breakfasts with everything freshly cooked. We had Room 3, extra wide super-king size bed. Recommended. Perfect - could not be faulted. Mandy suggested the Firehouse restaurant in St Ives, (it was my partner's birthday and a special meal was called for). Excellent meal, excellent staff, nice place with NO appalling music - no music at all. Not cheap but neither ridiculously expensive. If you want to see Land's End and the Longships lighthouse, don't waste money on ridiculous charges and spoilt venue at Land's end itself. Go to Sennen Cove and walk up to the old coastguard lookout. Plus a lovely beach. Location is great. Staff were very very nice. Well.... it was just all perfect. Lovely, friendly people. Nothing is too much trouble. Five minutes car ride into St Ives, which has everything there. Owners & Staff were extremely helpful going out of their way to ensure full satisfaction and if not applied instant remedies. Food, rooms and decor were all excellent. Location was very good for walking to St Ives or for the bus traveller there was a stop opposite Thurlestone Guest House, with information available from the premises & owners. All encounters with the owners were a cheerful experience who went out of their way to ensure that your stay was enjoyable and satisfying. We would have no hesitation in recommending the establishment to anyone, very good value for money. Information was available from the owners, first hand, for all local things to see and means of getting there. Access to St.Ives & Carbis Bay could be on foot by the coastal path or by the bus which stops right outside the property and is much cheaper than parking in St.Ives with a 30min service. All beaches from Carbis Bay to St.Ives are excellent. The LA CASTITA Italian, Spanish & English Restaurant is around 300 meters walking distance from Thurlestone House and serves excellent food and was itself a good recommendation from the Thurlestone House owners. Located where many places are easily accessible by own or public transport. Mandy is so warm and friendly, nothing is too much. The food is freshly prepared and beautiful. Big portions, too. There is lots of choice, fresh fruit, cereals (gluten free options available) cooked breakfast. The rooms are spotlessly clean! What I really enjoyed was all the artwork on display. It felt a bit like a gallery. In the lounge is a sign "arrive a stranger - leave a friend" that sums it up. Really enjoyed our stay. Clean rooms. Breakfast was lovely and even got an extra sausage each morning! Hosts couldn't of been nicer. Very helpful on places to go. Lovely Bed and Breakfast...would definitely go again. Warm and friendly staff who are always very helpful. Would certainly recommend this guesthouse to anyone staying in the St Ives area. Thoroughly enjoyed a short break at this wonderfully welcoming guesthouse. Spotless facilities, nothing was too much trouble and felt perfectly at home. Breakfast was tremendous. Highly recommended guest house. Great base for walking coastline and visiting St Ives. Vegetarian restaurant close by. Gary & Amanda were so friendly and welcoming The breakfast was amazing and thoroughly recommend the scrambled egg & smoked salmon,nothing was too much trouble. The bed was clean and comfortable. We would definitely visit again. Gary recommended going to see the seals at Gwithean cove which we did, we were so thrilled at what we saw. After did a lovely walk along Godrevy beach. Great location and lovely atmosphere. With a more consistent wi-fi connection the B&B would have all the ticks. Gary and Mandy as hosts were very hospitable, friendly and had great knowledge of the surrounding area to make the two days packed full of the things I wished to do. Grilled fish for those who like it at the Harbour fish and chips restaurant. Excellent guest house & highly recommended. From a friendly welcome,very clean rooms and good food it was a great few days away. We enjoyed it very much. We thoroughly enjoyed our stay and were made very welcome. You took the time to chat and were very friendly. Very easy to find with parking facilities. Short walk to Carbis Bay and only a 20- 25 minute coastal walk into St Ives. Gary and Mandy very pleasant and welcoming hosts. Excellent breakfasts and nice clean rooms. Our recent stay at the Thurlestone was a real pleasure. The owners of the guest house Mandy and Gary, were very welcoming and amazingly friendly they couldn't have been more helpful. Our room was very clean and tasteful, as was the rest of the house. The breakfast was lovely and of very good quality, with lots of variety and choice. Would most definitely recommend Thurlestone to anyone. We hope to return next year. Thank you Mandy, Gary and staff for looking after us. 1st class Guest House offering friendly service. It is well situated for public transport too. Very friendly and welcoming on arrival and throughout stay. Perfect hosts. Lovely breakfasts. Very nice people,very welcoming, great breakfast. The only thing you should be aware of is that the "normal double room" is quite small with about no space for your bags or suitcases...everything else top! A lovely friendly family run guest house/small hotel just outside St Ives in a good location. The Watermill Pub for good food at affordable prices. Also visit the Miracle theatre. Very interesting. Beautiful guest house in a fabulous location. Mandy and Gary were the perfect hosts, very friendly, kind and nothing was too much trouble. We would thoroughly recommend Thurlestone Guest House to our friends and relatives and hope to be back again soon! The most welcoming and friendliest guest house/hotel we have ever stayed at. Breakfasts are to die for! All for a very reasonable price too! The Thurleston Guest House is perfectly situated for ALL the best places to see in and around St Ives. Car parking provided. Bus stop just outside so you can go into St Ives, Penzance or Hayle without worrying about parking there. Friendly/efficient/obliging are just 3 descriptives for thurlestone house, we were made to feel so welcome and there was nothing that was too much trouble. Thanks for a lovely stay,. We will return. Really lovely guest house is ideal location and views. Staff and owners very friendly would definitely book again. Lovely welcome didn't feel like I was in accommodation felt like I was just at home.couldn't ask for more friendly staff everything was thoroughly explained straight away as soon as I arrived. Absolutely spotless building lovely stay will most definitely be rebooking. Lovely place to stay. Beautiful room overlooking godrevy lighthouse. Food excellent. Plenty of choice at breakfast. Nothing was too much trouble for the owners mandy and gary. Friendly and helpful at all times. Room was cleaned daily and fresh towels and complementary tea, coffee and toiletries as standard. Thank you to all the staff at thurlestone. We had a great 5 day break. Definitely recommend. Short downhill walk to the beach at carbis bay. Short walk into st. ives.bus stop over the road for the open top bus tour. Easy access to train station. Excellent accommodation! A most warm welcome thank you, very much appreciated. Breakfast was superb, and all options for choice covered. Gary, you should be a tour guide. I just wish I had more time to see the area. All the staff were very friendly. Would recommend location for train to St.Ives, much easier and cheaper than attempting to park in St.ives. A very warm and welcoming stay. With great facilities!! The location and the cleanliness were both first rate!! Gary and the girls couldn't do enough for you as nothing was any trouble for either of them I would highly recommend this guest house and will definitely return again in the near future. Lovely happy family atmosphere. Excellent breakfasts, very helpful and lovely staff. We are always made very welcome and enjoy our stays very much indeed. Have also recommended this guest house to our friends and relations. Recommend Becks restaurant, within walking distance up the road. Also Hoblers in St. Ives, where Abby works, excellent food but more expensive and a different class of restaurant. A nice experience. Would also recommend Tate modern museum and the Barbara Hepworth museum of sculpture. Everyone very friendly and helpful. Breakfast service very good. Would stay again. Excellent location for visiting Carbis Bay and St Ives, and also the areas surrounding the south west coast. The owners are very friendly and helpful, and the accommodation is of a high standard. Good Tapas and Mediterranean restaurants a few minutes walk away. 10 minutes walk down to the beautiful Carbis Bay, and 25 mins walk down the coastal path to St Ives. Other great places to visit a short drive away (up to 30 minutes) St Michael's Mount, Porthcurno Beach\Minnack Theatre, Lands End. Very friendly and obliging hosts. Good breakfast. The staff were always very friendly and helpful, always smiling and very curtious at all times. The cleanliness of all the guest area's was of a very high standard indeed.Breakfast had a good selection which included cereals, yoghurts and grapefruit and the cooked breakfast was freshly cooked and very tasty with quality produce being served, all in all a gem of a find and a return sometime in the future is very likely. My wife and I had seven days here never had a bad meal anywhere. Ate at several places during our stay. St Andrew Street Bistro is very good as is Hobblers,the Lifeboat Inn is also good. It is a good idea to book your table at many of the restaurants etc as they get very busy. Lizard Point and Lizard village are worth a visit as of course is Lands End, Tehidy Wood near Illogan is a nice place to walk through with swans ducks and grey squirrels ( which are very friendly ) there are several walks for all ages and fitness levels. I could not fault any of the qualities of the B&B. The welcome, courtesy of the oweners and staff, the cleanlines of the place etc,etc. It was like home from home. The Thurlestone Guest House is somewhere one returns to. St Ives is a fantastic town. We had a fabulous stay at the Thurlestone guest house, All staff vey polite and attentive to our needs. Guest house was welcoming and the room we stayed in was very clean. Gary and Mandy run this guest house brilliant, always happy and cheerful. The bean restaurant, at Carbis Bay is an excellent place to eat even if you are not a vegetarian the food is presented of very high standard and delicious. Becks fish and chips amazing, can be busy at times due to the standard of fish and chips. Excellent service from a very welcoming guest house. Mandy & Gary, and their staff, were the best host,we throughly enjoyed our stay and would definitely try and stay there again the next time we visit St Ives and the surrounding area. This place is ideally suitated just a few miles from St Ives,it would be recommended that you should avoid going into St Ives with the intention of trying to park a car in peak season!,other modes of transport are available,we took the train which is a short walk from Mandy & Gary's place and takes you straight to a beach! It needs to be noted there are some steep descents and steep inclines that will have to be negotiated,e.g,wearing suitable foot ware,save the flip-flops for the beach! Friendly, clean, Beautifully decorated, breakfast was amazing with more than enough choice. We were made welcome from the minute we walked in the door, the room was small but we knew that when we booked, it was clean & warm with a ver comfortable bed, the breakfast was excellent, great food and plenty of it. We couldn't fault the Thurlstone Guest House in any way, we will be back. The walk into St Ives with its great views, you must try Weatherspoons in St Ives for the 14oz steak. Excellent location, plenty of good restaurants etc within walking distance. Excellent position for the beach and sea and also good position for walks etc. The local Tapas bar is lovely, take a walk in to St Ives its a bit hilly but worth the effort. Its all beautiful, plan your time an dhvae some alternatives Eden is great to do on a wet day as much of the attraction is under the Domes. Mandy was friendly and informative about the surrounding area with loads of great ideas for days out. Breakfast superb with loads of choice and cooked perfectly. The guest house was spotlessly clean and yet cosy and welcoming. Well done! Mandy, Gary and staff could not be more friendly and welcoming. It is the most comfortable guest house we have ever stayed in. We can't praise them highly enough. Hoping to return next year. Ask for sea view room, the view is amazing. The walk into ST Ives along the coastal path is very pleasant but you might like to get the bus back as it is quite a pull up the hill. Mandy Gary & staff were excellent.we highly recommend them returning next year as we feel they are part of our family. Lovely coastal path to St ives. Mandy & Gary are very friendly; made us feel welcome from the start of our visit. The house is lovely,we had a very comfortable & spacious room. The breakfast was most enjoyable, plenty of choice & very tasty. Would highly recommend the fish & chips from The Highlanes takeaway in Hayle. A hugh portion cooked the traditional way in dripping. A real treat! Mandy and Gary were the perfect hosts. They were polite, obliging and good fun. The breakfasts were something to look forward to every morning and we were given such a fantastic choice. The rooms are modern and beds are comfy. St. Ives is a beautiful cornish town to visit. Bus stops are outside Thurlestone Guest House which makes it easier to visit if you don't wish to walk along the coastal paths. There are a few good restaurants within walking distance and the Thurlestone is in a good location. We spent a week at Thurlestone. Mandy and Gary were very welcoming and couldn't do enough for us. The breakfasts were great, plenty of choice and plenty of food! The location is central to everything and the bus and train services are good. We had a room with a sea view, it was very comfy, the only downside being the road is very busy and quite noisy on times. Overall tho a fab stay and highly recommended. St Ives itself is idyllic. A must see is the Minack Theatre, stunning views. The Atlantic Hotel is nice to eat but a little expensive. The Badger serves good food and a cracking Carvery! Also The Watermill just off the roundabout coming into St Ives is lovely...a bit "spit and sawdust" when you walk in but lovely outside space and the upstairs restaurant is the best place to eat. If you go to Newquay then The Fort is a great place to eat with great views and outside space. Walk into St Ives - lovely scenery and keeps you fit! We were made extremely welcome and nothing was too much trouble. Breakfasts were delicious and piping hot and every dietary requirement provided. The room was immaculate and comfortable. We are regulars to St Ives but discover another beautiful beach every year. Highly recommend Godrevy, absolutely stunning. The Atlantica just along the road was the best evening meal we had - highly recommended. Rarely recommend anywhere but if you want easy access to a variety of places in the area and a friendly environment with excellent food then this is very good value. Go on all the Cornish sites. If you are travelling from the west then stop in Launceston and see the Castle and Museum (free)as a contrast to the delightful bays and coves and moorland walks. There's a host of culture in St Ives, local pubs and so on. The room was lovely with a nice outlook. The staff were fantastic. Nothing was too much trouble - from moving their car so we could park in front to doing some laundry for us. All done with a smile and great sense of humour. The breakfast was generous & delicious. Although a bit out of St Ives it was a pleasant walk into town & porthmeister beach restaurants and shops. There are also some restaurants no more than 10 mins walk away. Really enjoyed our short stay at the Thurlestone. Mandy and Gary really warm and welcoming. Nothing to much trouble for them. Our room exceptionally clean and bed very comfortable. Breakfast - so fresh and tasty and nice and hot! Would love to come back and stay here for longer again if we could! Just across the road is a lane leading to the coastal path and Carbis Bay. Wow! - the beach and the views are amazing. We took the coastal path to St.Ives - lovely walk of about 30 minutes. Very high standards with everything you need for a short stay: comfy bed, good sized bathroom with hot shower, excellent and generous breakfast served by pleasant smiling staff. If staying longer than a couple of nights book one of the larger rooms. The St Ives Walks lead by Tony Farrell are excellent. Must go to the Barbara Hepworth museum and sculpture garden. Superb ! We have returned many times to enjoy the best breakfast in Cornwall in this well appointed very welcoming Guest house. Highly recommended ! Short delightful walk into St Ives. Short journey to Godrevy for excellent views and coastal path walking. Carbis Bay .....glorious ! Proprietors and staff are very welcoming to guests and friendly. It truly deserves 4* rating. If I visit St. Ives again, I would definitely book this accommodation. Each room has a book full of information for local restaurants, and its reception has plenty of leaflets and maps for the area. Lovely people always willing to go that extra mile to ensure your guests have a good time. Always given a warm welcome and made to feel like part of the family Always ready with advice for great days out. Lovely place. The owners are very helpful and welcoming. Nothing seems to be a problem. They serve amazing breakfast! The place is very conveniently located. Very close to the beach, bus stop or train station. We really enjoyed our stay at the Thurlstone Guest house it was in an ideal location just a short walk from St ives along the coastal path .Our hosts Gary and Mandy made us feel so welcome nothing was to much trouble and the breakfasts were so filling with lots of choices.The Thurlstone is definitely a guest house we would stay at again and again . Mandy and Gary were great hosts,nothing was too much trouble and breakfast was excellent. Pick room with sea view. Head down cardiac hill,opposite Thurlestone to Carbis Bay beach,which is beautiful.there is also a great Beach Cafe down there. Great restaurants nearby. Couldn't have been nicer or more helpful people. We were treated like friends rather then paying guests. Breakfast was really good and freshly cooked to order. The whole house looked clean and fresh. We really enjoyed our stay and will come again if we ever visit St Ives again. Good restaurants and pubs nearby. St Ives is a short taxi drive away and has lots of tourist places to visit. Great choice of gluten free food. Highly recommended! extremely friendly staff. Guesthouse clean, comfortable and food delicious. Will recommend to others. Local Indian restaurant The Raj Poot in St Ives was great. Absolutely faultless, relaxing, friendly great position, will definitely return if that way again!! Walk the footpath to carbis bay To St Ives, and enjoy some of the facilities along the way! Congratulations on friendly professionalism of Hosts and staff. Your attention to detail and willingness to go that extra mile is admirable. We certainly felt at home from the outset. Had some rather late nights out, so facility to let ourselves in was much appreciated. Immaculately kept accomodation, we did find our twin room a little cramped but this in no way detracted from enjoying our stay. Lovely views from the coastal path into St Ives and not too far to walk. If you are unable to walk the bus service is frequent and reliable, saves on looking for a parking space in St Ives! Gary or Mandy will recommend a couple of local pubs where the food is reasonable within walking distance. Lovely friendly and homely. Fantastic breakfast choices. Well located for a 30 minute stroll to St Ives. Local vegetarian restaurant is lovely. Rajpoot indian is a must as is the mermaid for fish. Visit Bodmin jail and Boscastle. Fantastic holiday !!! We had a wonderful stay and cannot fault a thing! If ever we came back to St. Ives, we would stay here again and would highly recommend. Staff were all extremely friendly and welcoming. The driving road from St. Ives to Sennen was a fantastic drive - scenery was amazing! Very friendly owners who make you feel very at home. Breakfasts are great and our room was very comfortable and clean. We would stay again . Very friendly owner,very comfortable bed with an excellent breakfast. would return. A friendly welcoming Guest House. Run by lovely people. If anyone is going to St Ives, it is highly recommended. Everybody was really helpful, kind, considerate and friendly. The only way to improve facilities would be to put a small fridge in the room in case anybody buys some local cheese/produce, and also the shower was a good temperature but not very powerful. Otherwise, everything was perfect and the breakfast was amazing! The walk along the footpath from Carbis Bay to St Ives was stunning on a sunny day. Might be best to check the tides as at low tide you can cut quite a bit off the corner by going across the beach. This was our second stay. We had a brilliant time last year and couldn't wait to get back. Mandy and Gary are more than welcoming and went to great lengths to ensure that our stay was as pleasant as possible. The room we stayed in was very comfortable and well presented. One of the hotels best features are the cooked breakfasts each morning. They are made to your exact requirements and is a great way to start the day. The hotel itself benefits from on-site parking which is very hard to come by in this area. Only a short taxi ride from St Ives and there a stunning coastal walks just opposite, which aren't too difficult. We would definitely recommend and will return again. In St Ives there are many restaurants and pubs to suit any cuisine or appetite. Our favourite pubs are The Lifeboat Inn and The Sloop. Both of these pubs do excellent food and are on the harbour front of St Ives. There are many family activities to do in the area and the hotel has many leaflets to help your decision. Our best recommendation would be to take the 15 minute journey out to The Rockpool Bar and Seafood Restaurant in Hayle. The bar is right on the beach and is newly refurbished, very welcoming with a large menu which made for a brilliant experience. Lovely welcome. Very helpful, Thank You ! Really not far a walk into St.Ives. So, leave the car and then no parking hassles. Carbis Bay beach only minutes away and very pleasant.(Sandy). We had a lovely stay ,it's a shame it wasn't for longer ,but maybe next time . Mandy and Gary are so welcoming and the whole atmosphere is relaxed ,it's just like home from home . The Thurlestone is extremely clean and has all the facilities you would expect or need .will definitely be returning soon . We ate in "The Firehouse " and the food is excellent . We got the bus into town one night but because there was four of us it's actually a bit cheaper to get a taxi . There is also a lovely walk into town via the coastal route which takes about half an hour . Great guest house very clean and nicely decorated. Mandy and Gary make every one feel very much at home and are fantastic hosts. Breakfast was lovely and all done really well with a nice choice of cooked food. Within minutes of some lovely walks and Beaches as well as St Ives with all it's great facilities which is just 5 minutes down the road. All in all a lovely few days and we will definitely be back next year. Gary and Mandy are excellent at running their Guest House. They went out of their way to make us comfortable. 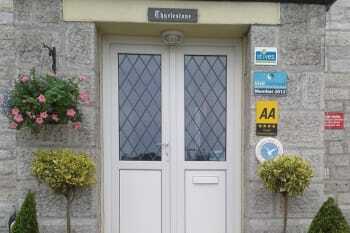 Thurlestone Guest House will be our first choice if we visit the area again. This B & B is first class in every aspect. Many lovely places to eat in St Ives just down the road. The Fire House being the best for steak. Lovely warm welcome , owner even collected me from station. Freshly cooked breakfast and plenty of choices. Wi-fi available. I knew the area but owners took time to explain best ways to get to the various points of interest. Wonderful location. Easy walk to St Ives. Bus stop almost opposite. Ideal to drive down and leave the car outside for whole holiday.Fantastic value for money. 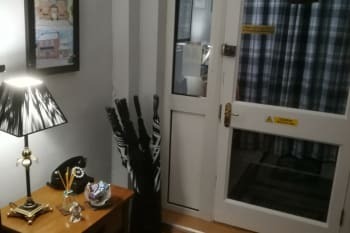 The Thurlestone Guest House is the most welcoming place we have ever stayed where the hosts Mandy and Gary will do anything to help their guests. There are so many things to do and see just a short distance from Carbis Bay (including the bay itself) that you just can't list them here. Many fantastic restaurants in St Ives. Great stay,hosts very generous with everything they supplied including their time and local knowledge. Would recommend staying here for other travellers. Close to St Ives, nice walk in, but quieter, which we liked. Do the coastal walks, they are beautiful and easily accessible from many places. Great hosts . Great breakfast . Highly recommend for great value !!!! As always excellent throughtout, Staff very thoughtful and look after their guests first class. A visit to the Sea Food Cafe in St. Ives is worthwhile. Also trips via Oates Travel in St. Ives is a good way to see parts of Cornwall. The best B&B I have ever stayed at. 9.9 out of 10. Excellent guest house. Mandy and Gary first class hosts. Nothing was too much trouble. Breakfast was brilliant. Would recommend the guest house to anyone. Once again many thanks for a great stay Geraldine and Roy. Lovely guest house and hosts, couldn't fault anything. Good selection for freshly cooked breakfast, room was comfortable and had everything I needed. It suited me as a walker to walk into St Ives (about 30 mins along the coastal path) but I did get the bus back once as its a long up hill return especially after a day walking. This was literally the best B&B I have ever stayed in. I am very critical when I stay at places and choose very carefully with a bit of an OCD for cleanliness.. This B&B smashed all my expectations. The owners were so lovely. I'm so used to reading "a friendly welcome" and not actually getting a sincere welcome that this couple were so refreshing!!! Can't fault the rooms, breakfast or service. Would be inclined to stay again purely because it was such a great experience and had no plans to return before! Friendly atmosphere & staff. Good breakfast. Great value. Very good B&B. 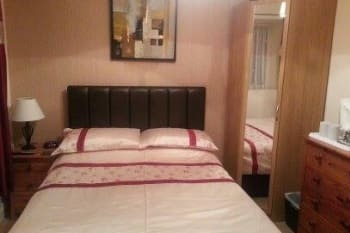 Nice clean room and bathroom, good breakfast selection and fast service, nice bar, friendly staff and plenty of advice on where to go, what to see and how to get there! 20-25 minute walk downhill to St Ives. Or use the local bus (stop outside), regular service, £3 return. Lovely guest house and a very pleasant stay. Made very welcome once again making our stay more enjoyable. The Mex & Peppers both St Ives and Becks Fish Bar Restaurant Carbis Bay were our ports of call for food this stay. You do need to book a table during high season, but my favorate was Becks. We really enjoyed our stay with you we were made very welcome you are lovely people.The breakfast was wonderful and the standard of your guest house is excellent we would definitely recommend you to our friends. There is a lovely coastel walk down to st ives across the road from the guest house. Very welcoming and warm people. Delicious breakfast! Amazing location and very close to the beach. Bar on the beach with live music. Staff we're very friendly, nothing was too much for them. Even gave us some vouchers for Paradise Park, from the local newspaper. Breakfast was excellent, had everything you could think of. Rooms cleaned daily to a high standard. Made us feel very welcome, we thoroughly enjoyed our stay. We really liked Becks fish and chip restaurant, very large portions, at reasonable price. St Ives and Carbis Bay have a nice beach for kids. Car parking arrangements not ideal but we realise it was the best you could do. Lovely warm welcome, attentive and friendly throughout our visit. Super breakfasts, comfy room abd lovely staff. Thank you Mandy and Garry, we will be back to stay again in the Autumn. Telegraph museum a must to see. Use the train to get to St.Ives. Car park at Lelant free after 6.00pm. Recommend Hobblers for dinner, and Becks for fish & chips. Did not enjoy visit to Watermill pub. Waited 1 hour for food, poor quality. This review could be almost embarrassing because it might look like I'm related to, or in the employ of, the owners. 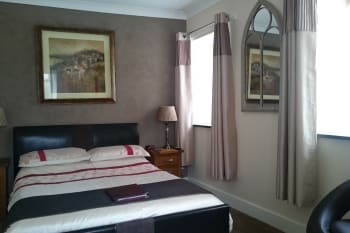 Simply put, as a B&B, I can't think of a single criticism and this takes into account value for money, the friendliness and helpfulness of Mandy & Gary Cartwright (mine hosts), and everybody else associated with the guest house, the cleanliness and attention to detail with the breakfast service. I could go on......OK. parking's a bit of a tight squeeze but hey, there is parking! Would we come back? A rhetorical question! Carbis Bay obviously, for the beach, with a newly-opened (2014) reasonably priced beachside dinner venue, the Carbis Bay Hotel's Beach Café (not a café at all). This time we went to the Minack Theatre and the Porthcurno Telegraph Museum (fascinating!) Even if you don't like museums, this is one with a difference and well worth a visit (definitely good for a rainy day). The small seaside port of Mousehole (not pronounced onomatopoeically), St. Michael's Mount and Land's End are just a relatively short drive away. Excellent standards and lovely proprieters. Best breakfast we have ever had in a B&B or anywhere else for that matter! Couldn't have had a better place to stay if I'd paid £4,000 like my friends did down the road! Excellent, warm, kind and lovely. I'll be back. Friendly hosts and staff,made to feel welcome.Excellent guest house to stay in. You can leave your car with walks into St Ives via the coastal path with outstanding views. Various beaches close by, places we recommend to eat are Becks fish restaurant in Carbis Bay, the Badger Inn for a carvery in Lelent . Some Restaurant's in St Ives you may need to book a table. Very friendly felt like part of a family from the start,lovely atmosphere,food and service excellent.already booked up for next year. Captains table at the Sloop inn St Ives,excellent fillet steaks.Lovely coastal walk to St ives .Lovely harbour at Porthleven. This was our third visit to you and everything was excellent as always. Mandy and Gary made us very welcome when we arrived and nothing was too much trouble. A nice happy and friendly Guest House from all Staff throughout our stay and we will always come back to you. Excellent breakfasts beautifully cooked and also clean towels everyday. Our favourite restaurant that we visit everytime we are in St. Ives is the Sea Food Cafe in Fore Street,well worth a visit. St. Ives is full of good Cafes and Pubs and a relaxed atmosphere. 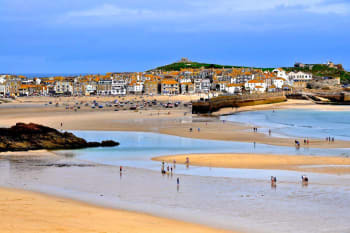 Oats Travel in St. Ives arrange coach trips to all parts of Cornwall at reasonable prices. It is nice to sit back and relax and see the Cornish countryside. Well worth booking. After initially being surprised by the narrowness of my room, I became used to it, and I really liked it. The tariff was really good value. Mandy the manager was very friendly and hospitable, and the breakfasts were excellent. The walk to st ives along the coast is very pleasant. If tired use the bus service to go to st ives. It was reliable when I was there. An excellent guest house to stay at. Will certainly go there again. Mandy, Gary and all the staff are all very friendly and welcoming making our stay there such a pleasure. Nothing is too much trouble. Thank you all so much. The best landlady we met on our holiday. Mandy and Gary were very friendly and helpful and their staff were cheerful and friendly. They are very enthusiastic about their business and it was a pleasure to stay at Thurlestone House. It was lovely to meet you. Thank you for making our stay so welcome and comfortable. A very good local Italian restaurant just along the road. Great, service very friendly, hoping to go back soon. On arriving was a little worried if you go by looks, but don't be an outstanding ing bnb as they say everything it says on the label and more. 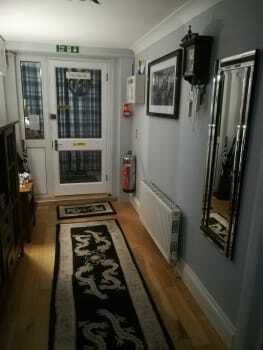 This couple very approachable lovely kind professional owners, cannot do enough for you. Not at all over the top lovely and homely. Beautiful room little small but just what you need. Bathe room impecBle spotlessly clean, love the walk in shower.ventilation excellent , we were with a wedding party stopping in a large hotel they were complaining how hot and stuffy there rooms were.overall excellent bnb 10/ 10 will be going back.thankyou. Very hilly but views and beach literally over the road put the right shoes on a very steep hill , we love walking. Beach privately owned by the hotel on the beach, added facilities been built. Tesco just up the road. St Ives 20 mins walk ish.people are very friendly love it.night life if you want it mile and a half away. We had a wonderful time and really felt like part of the family. We were made to feel welcome from the moment we arrived until the minute we left. The room was lovely and comfortable and spotlessly clean and the breakfasts every morning were amazing!!!! Can thank you enough Mandy, Gary and Abbey - you will definitely be seeing us again soon! The coastal path right opposite the hotel was a lovely walk every day with beautiful scenery. We loved the Alba Restaurant in St Ives - gorgeous food!! Also liked the Lifeboat a Pub - good atmosphere and my Husband loved the Cask beers there! Excellent,have stayed here previously and will do so in the future. Mandy and Gary are excellent in what they do. Very nice and helpful hosts couldnt do enough for you went out there way to make sure our visit was top class, breakfast was superb. Extremely friendly welcome, the hosts couldn`t do enough, but without being over powering. The cleanliness was IMMACULATE. The onsite parking was a bonus. The location is ideal for many places of interest. Would recommend the park and train ride to St Ives. Mandy and Gary are the best hosts anybody could wish for. You are made to feel at home as soon as you set foot through the door. nothing is too much trouble for them. I have special dietary needs and Mandy goes out of her way to ensure that I have variety at breakfast. The Guest House is always immaculate. 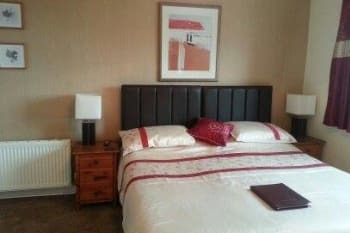 Great accommodation, nice room, very friendly welcome. Lovely walk to St Ives via Carbis Bay with stunning views. Would recommend The Seafood Cafe, Fore Street and The Sloop Inn on the harbour front. Though not located in St.Ives, there is both a beautiful trail or a bus stop very near by that can be used to easily get in town. There is a beautiful beach right across the street. The staff was extremely helpful, breakfast was delicious and if we were ever in the area again we would definitely rebook. The Italian Restaurant that is in walking distance is delicious.